^ 2.0 2.1 Aluit, Alphonso. By Sword and Fire: The Destruction of Manila in World War II, 3 February-3 March 1945. Bookmark, Inc. 1994. ^ 3.0 3.1 3.2 Kasaysayan: History of the Filipino People, Volume 7. Reader's Digest. 1990. ^ 4.0 4.1 Jose P. Angelfire. [2007-10-21]. 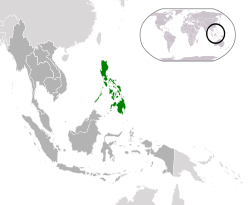 ^ The Philippine Presidency Project. Manuel L. Quezon III, et al. [2007-10-21]. （原始内容存档于2009-03-03）. ^ Ocampo, Ambeth. Looking Back 3: Death by Garrote. Anvil Publishing, Inc. 2010: 22–25. 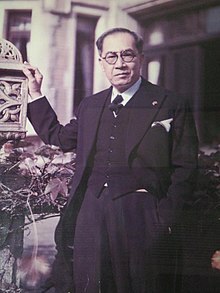 ^ JOSE P. LAUREL. PROCLAMATION NO. 30. [25 January 2011]. ^ 12.0 12.1 Ooi, Keat Gin. Southeast Asia: a historical encyclopedia, from Angkor Wat to East Timor, Volume 1. Santa Barbara, California: ABC-CLIO. 2004: 776 [27 January 2011]. ISBN 978-1-57607-770-2.